Understanding healthcareâ€™s past can assist in better comprehending the obstacles and difficulties faced in todayâ€™s very slanted pharmaceutical and vaccine-based model of healthcare. Todayâ€™s healthcare has a strong emphasis on pharmaceuticals and vaccinations, which are entrenched in our medical health delivery system. One rarely leaves a physicianâ€™s office without a prescription or recommendation for a vaccine. The growth of vaccinations in the last 60 years has been astronomical. In 1953, 16 dosages of 4 vaccines were recommended, while in 2013, 49 dosages of 14 vaccines were included in the recommended vaccine schedule. In contrast, safe homeopathic medicine successfully treated various infectious, epidemic diseases that were rampant throughout America and Europe. Statistics showed that the death rate by those treated in homeopathic hospitals was one-half to as little as one-eighth compared to those treated in orthodox medical hospitals. During the 1849 cholera epidemic, Cincinatti homeopathic physicians reported only three percent of their 1,116 patients died, compared to 48-60 percent of those receiving orthodox medical treatments. Division between homeopathic physicians and orthodox medicine grew in both Europe and America. One reason for the division was homeopathsâ€™ criticism of orthodox medicineâ€™s use of formulas aimed at suppressing symptoms, making it more difficult to successfully treat patients with homeopathic remedies. Major adversity existed for quite some time between these two schools of medicine. The AMA refused to allow homeopathic physicians to join their medical group and evicted physicians who even consulted with a homeopathic physician. 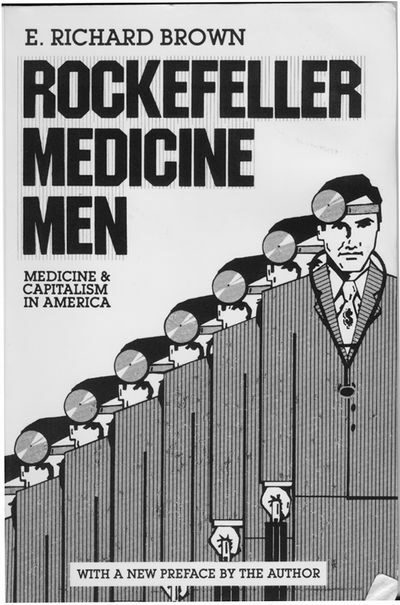 Eventually, medical health care was literally bought out by Rockefeller and Carnegie, who passed the Flexner Report to approve medical school curriculums. In effect, this outlawed the practice of homeopathic and natural medicine. Physicians could only be licensed to practice medicine if they were trained in the use of â€œscientificâ€� pharmaceutical treatments of disease. â€œAt the time of the late 1800s, early 1900s, 20th century, medical schools taught a lot of different things. There were homeopathic medical schools. There were naturopathic schools, there were eclectic herbal-type medicine schools. And so it was all there. There was not one way. What happened was that the Rockefeller and Carnegie Foundations were interested in establishing one way. â€œNot surprisingly the basis of the report was that it was far too easy to start a medical school and that most schools were not teaching sound medicine. Let me translate this for you. These natural health colleges were not pushing enough chemical drugs manufactured by who? Carnegie and Rockefeller. The AMA, who were evaluating the various medical colleges, made it their job to target and shut down the largest respected homeopathic colleges. Carnegie and Rockefeller began to immediately shower hundreds of millions of dollars on these medical schools that were teaching drug-intensive medicine. More vaccinations are in the making to offer â€œtheoreticalâ€� protection for every illness imaginable.